[By Nick, Limited for 2016] It's been quite some time since I've done a review. Man am I slacking. Well Dubba was no help seeing as how he's covered most of the new products already this year. That is until I found this little gem right here. Ever since my son has made his appearance into the world, I've become quite the coffee enthusiast. I went from drinking a cup every so often to it becoming a daily thing. 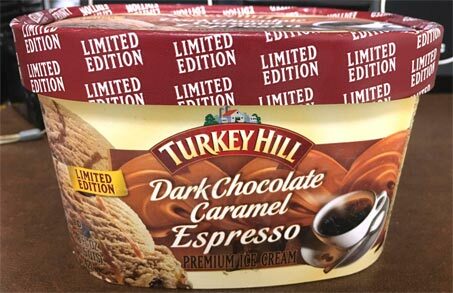 Espresso has become my best friend and this ice cream seems to have some potential. The ice cream isn't as dark as I'd expect it to look. It looks more like a milky coffee and that's how it tastes. The coffee flavor is pretty mute. Don't get me wrong, it's there but it's not strong as I was expecting. Espresso on its own is dark, bitter and quite robust. 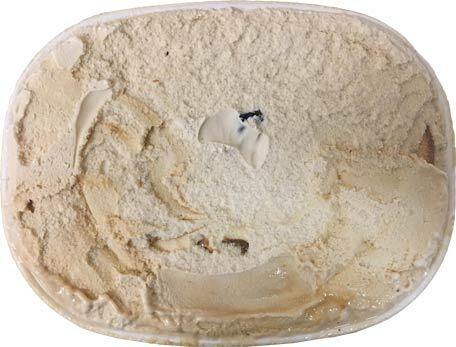 This ice cream is more like a cappuccino in flavor. It's not bad by any means but it's no espresso though. The bitterness actually comes in from the dark chocolate coating on the caramel truffles. This helps to cut the sweetness of the base and lets the caramel shine through. I really like the use of this mix in for this flavor. If they had gone milk chocolate, this would've been far too sweet. You'd think the sea salt caramel swirl would also cut the sweetness a little but sadly, the swirl's salt content is minimal at best. 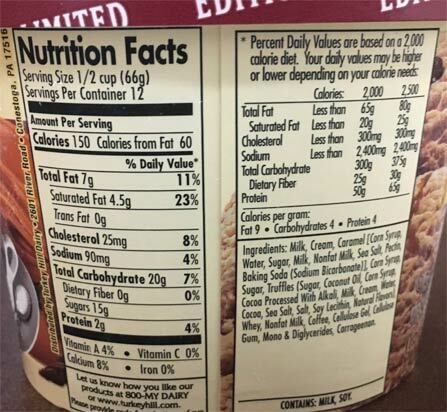 It's not detectable when eaten as intended with the ice cream. Even when you isolate it, it's still pretty hard to identify that it's supposed to be a salted caramel swirl. While it might seem like I've been bashing this ice cream, it's actually quite good. I enjoy both coffee and caramel and this one delivers on that with a bit of dark chocolate to round things out. The truffles are a bit scarce but that's not a problem with how much of the swirl is incorporated into this flavor. It's a pretty good ice cream, it's just a misleading name. They should've called it Dark Chocolate Caramel Macchiato instead. Heck, it's sound a lot fancier too. If you're looking for a strong coffee ice cream or salted caramel, look elsewhere. There are plenty of options on the market that'll far better suit you. However, if you're looking for a nice milky coffee ice cream with plenty of caramel, this will do the trick. 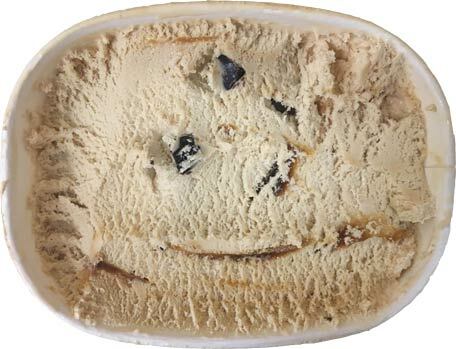 Have you ever tried Friendly's vienna mocha chunk? This reminds me of that, but only with the addition of the caramel swirl. Congrats on the little guy!! Anne, I have and I feel like they're two completely different ice creams. The coffee flavor in friendlys is much stronger as well. found this on the shelf today- bought it and was disappointed- like you said- the color was extremely light and the espresso flavor didn't shine through. it tastes primarily of the salted caramel with a hint of coffee and couple pieces of chocolate caramel truffle. the caramel was exceptionally sweet and the espresso flavor wasn't strong enough to cut through the sweet flavor. 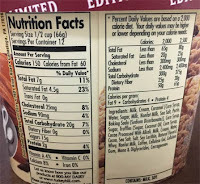 the chocolate truffles were actually the best part of this ice cream. I may just discard the ice cream after I've picked out all the chocolate pieces to eat as a snack.